Gujarat government today announced 4 per cent cut in the VAT on petrol and diesel. The Gujarat government on Tuesday announced 4 per cent cut in the value-added tax (VAT) on petrol and diesel, bringing down their prices by Rs 2.93 and Rs 2.72 respectively. The move comes a week after Finance Minister Arun Jaitley, after announcing the cut in excise duty on oil, urged the states to slash sales tax or VAT on petrol and diesel to provide further relief to consumers from high fuel prices. The BJP government at the Centre has come under fierce criticism over high fuel prices. The Centre had raised excise duty by Rs 11.77 per litre on petrol and Rs 13.47 a litre on diesel between November 2014 and January 2016 to take away gains arising from plummeting international oil rates. Last week, it reduced excise duty on petrol to Rs 19.48 per litre from Rs 21.48 per litre and on diesel to Rs 15.33 a litre from Rs 17.33 previously. 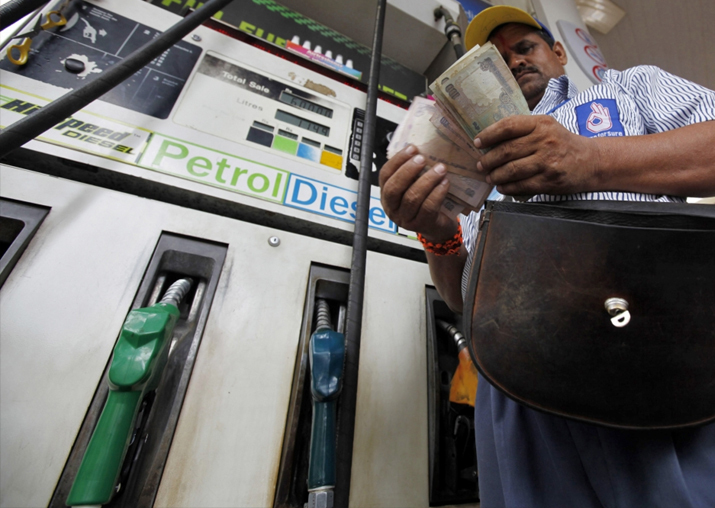 This after petrol price rose by Rs 7.8 since early July to reach over three-year high of Rs 70.88 a litre in Delhi while diesel rates had risen by Rs 5.7 to touch an all-time high of Rs 59.14. As a result of the excise duty reduction, petrol price came down by Rs 2.5 per litre and diesel by Rs 2.25.